Many companies create great strategies, but fail when it comes time to carry out the plan. To help, this SmartTips video focuses on five steps for effective corporate execution. 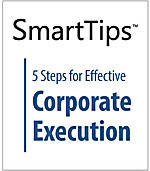 SmartTips: What Is A Balanced Scorecard? Looking for a way to make and reach company goals in a strategic fashion? With this SmartTips video, learn what a balanced scorecard is and how its holistic evaluation of a company's overall health may help you to keep your business in balance. Get enthusiastic about your job again. 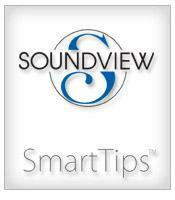 This SmartTips video gives 10 ways to get you through a slump and reacquaint you with a sense of purpose and momentum. Learn how to overcome burnout and improve your overall happiness with your job. Today's business environment is incredibly volatile. To keep up with rapid change in the marketplace, most companies need the ability to turn on a dime. Is your business agile enough for the 21st century? The 6 characteristics described in this SmartTips video are signs that you're not agile enough. Transparency has now become relevant — even imperative — for corporations and businesses of all shapes and sizes. By being transparent, you'll not only increase your business, but also establish long-term and trusting relationships. 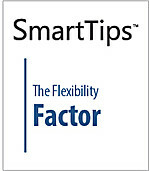 In this SmartTips video, we consider 6 ways to make your business more transparent. Lean Principles are useful in almost any business setting. They can be used together, or they can be used separately to troubleshoot and improve different aspects of production and distribution. In this SmartTips video we look at 6 ideas for putting Lean Principles to work in the real world. Though change at work can be abrupt and unsettling, change can also have positive benefits. You just need a new outlook to see them. 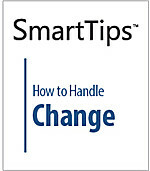 This SmartTips video looks at how you can approach change in a realistic way and how to meet the challenges it presents.